KINGSTON, Jamaica, Nov 23 2015 (IPS) - Negotiators from the 15-member Caribbean Community (CARICOM) are intent on striking a deal to keep the global temperature rise at 1.5 degrees of pre-industrial levels, but many fear that a 10-year-old agreement to buy cheap petroleum from Venezuela puts their discussions in jeopardy. PetroCaribe is an alliance between 12 member states of CARICOM and Venezuela for the purchase of oil at market prices with between 5 and 50 per cent up-front payment. There is a grace period of one to two years for paying the balance or through financing over 17 to 25 years at 1 per cent interest if prices are above 40 dollars per barrel. Media reports say Maduro is negotiating with non-members of OPEC to keep oil prices stable in support of the pact. Behind the 1.5 to Stay Alive campaign are warnings that inaction could cost the community about 10.7 billion dollars by 2025 or 5 per cent of GDP and about 22 billion dollars by 2050, roughly 10 per cent of GDP. Most CARICOM states are already experiencing climate change with associated damage between 1990 and 2008 estimated at 136 billion dollars. “Even if the problem of global warming did not exist, and the burning of fossil fuels did not result in extensive local air and water pollution, CARICOM would still have to mandate to transition away from these fuels as swiftly as possible for reasons of social opportunity, economic competitiveness and national security, ”said Ochs, one of the authors of the new Caribbean Sustainable Energy Roadmap and Strategy (C-SERMS) Baseline Report and Assessment, launched on October 28. On November 3, Barbados signed a 4 million dollar EU agreement to, among other things increase the share of economically viable renewable energy on the island. 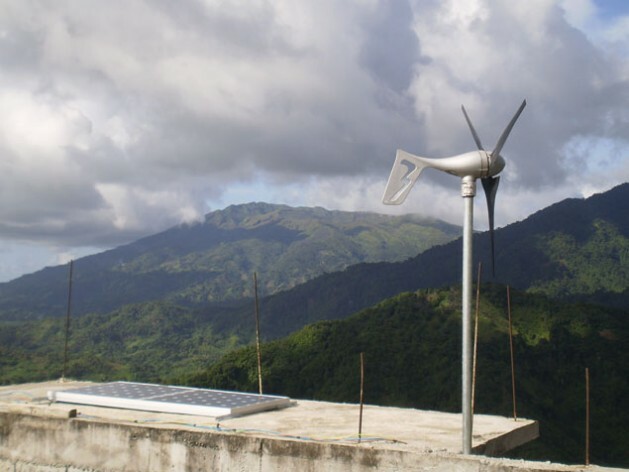 In June, the EU announced 23 million dollar grants and loans for sustainable energy projects in the Eastern Caribbean. In January, US Vice-President Joe Biden promised 10 million dollars to help Jamaica achieve the renewable energy targets of its National Development Plan. In Jamaica where electricity costs four times as it does in the US, more than 200 million dollars has been invested to add 115 mega watts of alternative energy to the grid. The aim is to reduce petroleum-generated electricity by 30 per cent by 2020. On September 19, the island’s single electricity retailer Jamaica Public Service Company signed 20-year ‘power purchase agreements’ to add 78 MW of renewable energy to the grid.